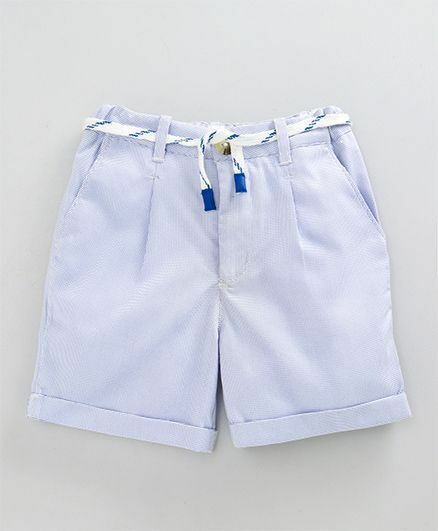 Babyoye presents shorts for boys. The shorts features drawstring and side pockets. Front button closure with zip ensures perfect fit. Team up the shorts with plain tee and cap for a stylish look. Styling Tip: Team up the shorts with plain tee and cap for a stylish look.